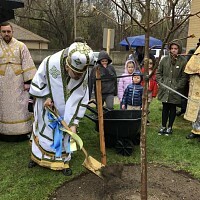 Ukrainian Orthodox Church of the USA - New Britain Parish’s “Families for Fontanka Boys” Project Successfully Completes Its First Year! “Families for Fontanka Boys” Project! New Britain Parish’s “Families for Fontanka Boys” Project Successfully Completes Its First Year! In 2010, St Mary Ukrainian Orthodox parish in New Britain became a partner with Universal Aid for Children-Ukraine (Ft. Lauderdale, Fl) and sponsored 8 boys coming out of an Odessa Orphanage called Fontanka. This is an orphanage jointly administered by the state and by the Orthodox church, which has a direct presence in the school. Its student population consists mostly of boys who had been living on the streets and were picked up by the police and brought there. The ages at Fontanka are from 8 to 15 years old and the discipline is junior military style. The Orthodox Divine Liturgy is a part of the school life. The current system of care for orphans in Ukraine is set up in a such way that at the age of 15 these young men are left on their own. As a result, these boys are very much at risk when they leave the school/orphanage and go into unfamiliar circumstances of living on their own in an unfriendly society. The UAC scholarship program assists young people who are leaving various Odessa Orphanages and attempting to get ahead in their lives. These can be trade schools, universities, or technical colleges. UAC, through their Odessa Director, Peter Panin, works with the students to assist in legal, administrative, housing, and placement exams. Once in a school, UAC then monitors each student for compliance with the program requirements. In return for a $50 per month stipend, each scholarship student is required to work 16 to 20 hours in one of the Odessa orphanages and a time sheet is turned in to the UAC staff. This stipend is usually the only money the student has to meet living expenses with. More than 30 parishioners signed up for the program and became the boy’s American “families”. The sponsors chose 8 boys--(“Rustam, Vitaly, Vova, Kolya, Victor, Vitaly, Stanislav and Anatoly” see picture above) and created the “Families for Fontanka Boys” program. Each boy has a group of sponsors who have joined together as one family. Some boys have as many as 6 sponsors, who then share the $57 per month expense between them. The boys write regular letters to their sponsors and the sponsors are also encouraged to write back to the student. UAC facilitates the translation of letters and then forwards them via email to the church’s Program Director, John Nickleach, who then distributes them. In August, the sponsors joined together and created packages to send to the boys, via the church’s highly successful Bundles for Ukraine program. School supplies, shoes, shirts, and snacks comprised the packages, which are scheduled to arrive in Odessa in October. The “Families for Fontanka” sponsors are now awaiting news from the boys and their plans (hopefully) to remain in school for a second year. Career choices for the boys include: auto mechanic, pastry chef, welder, teacher, and one boy wants to be a boxer, so he studies gymnastics. In November, 2010, Program Director, John Nickleach, made a trip to Odessa. He has made frequent trips there since 2003. During this most recent trip, he spent time with the boys, visiting some of them in their dorms or hostels, and also took the boys out for a very large meal! A letter of support and prayer written by Fr. Andrii Pokotylo was also given to each student. Anyone interested in further information about the Families program, Odessa orphanages, or about sponsoring a student, please feel free to contact Fr. Andrii frandrii@smuoc.com or John Nickleach (johnronson2@gmail.com). We’d love to see more people join our “Families”. 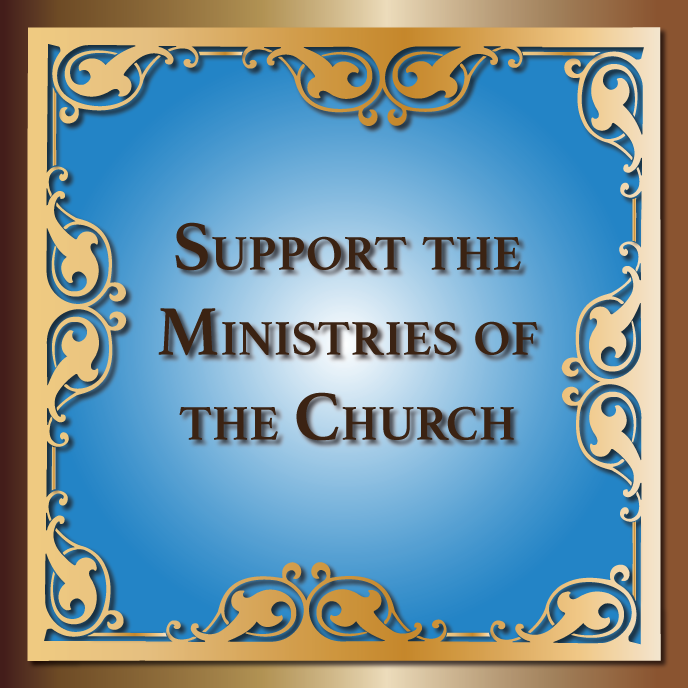 Please join our church in offering prayers for the boys to stay in school and learn a skill before they try to transition into the Ukraine labor force. UOC of the USA is Represented at Antiochian Village!